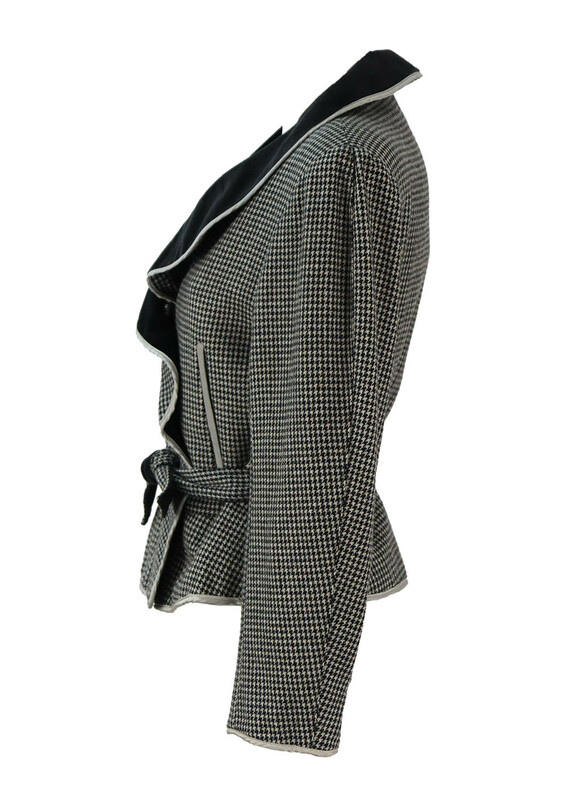 Black and white houndstooth check jacket with lovely design detail. 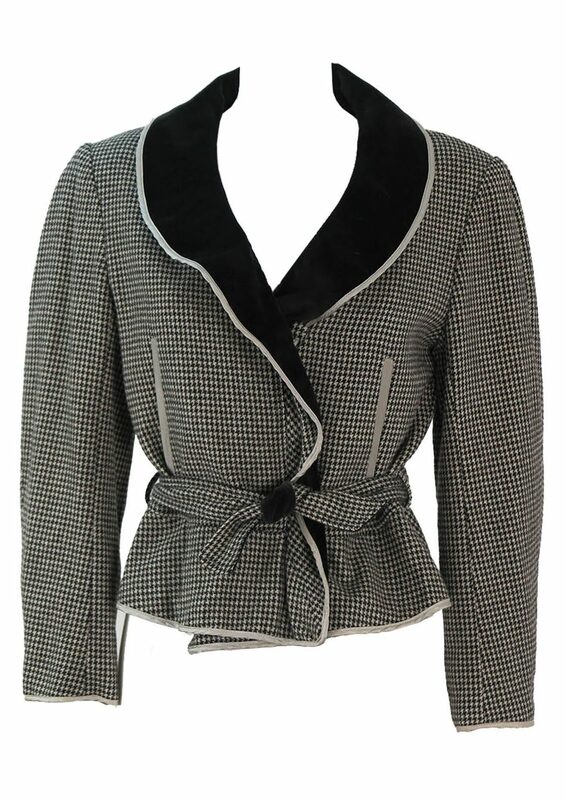 The garment has a gently frilled black velvet collar, edged in silver with velvet button loops. Additional details include silver edged side seam pockets and a slightly cinched in waistband that ties with a matching fabric belt – houndstooth on one side and black velvet on the other. 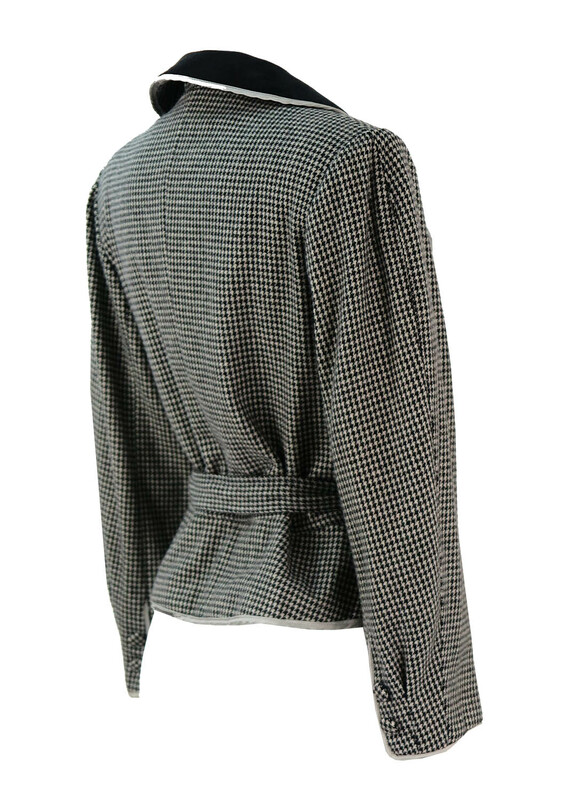 The jacket is fully lined in a warm grey.